This past weekend, Dawn of the Planet of the Apes hit theaters, and it's undoubtedly one of the most engrossing blockbusters in recent memory, with compelling, rich characters that allow for so much genuine suspense and drama, it's truly a wonder. But the film we saw as almost drastically different. 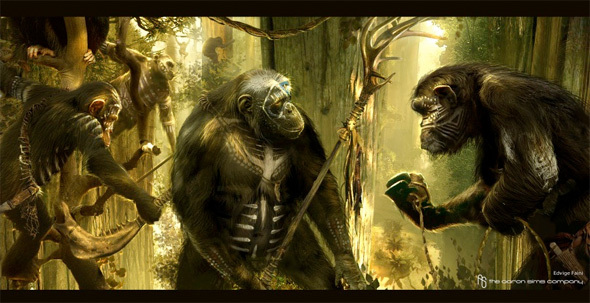 The apes were nearly much more evolved than they ended up being in this version of the story. 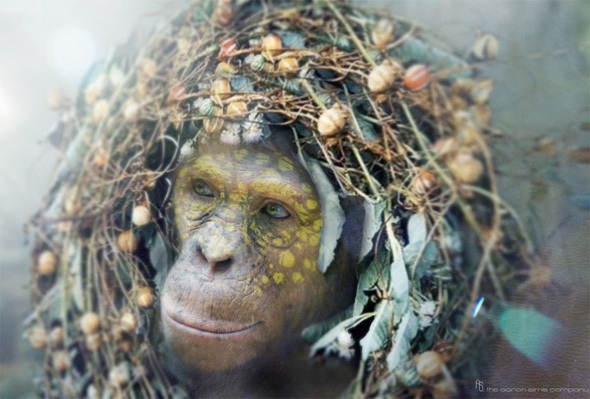 Matt Reeves recently spoke to SlashFilm and explained how he wanted to show only a little progress of the apes' evolution. And part of that meant ditching idea to have the apes do things like wearing clothes in the film (though they still get some guns). 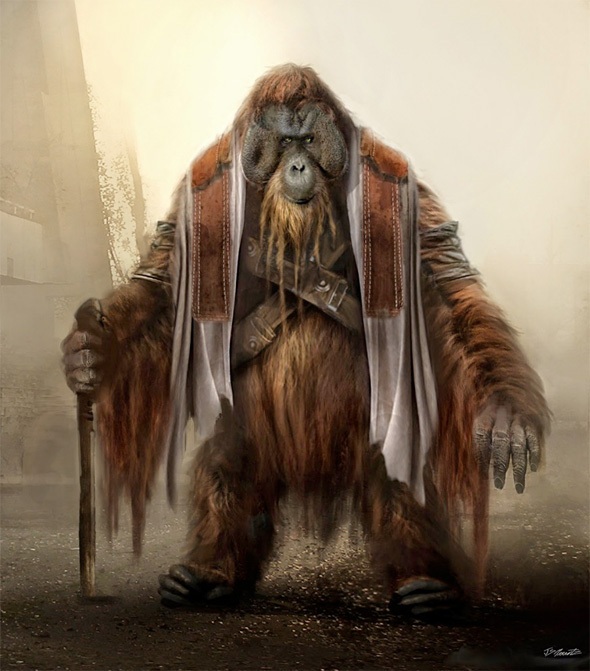 But some concept art has surfaced showing off what that would have been like. Look below! As you can see, there were some very interesting designs that put Maurice and Koba in clothes. 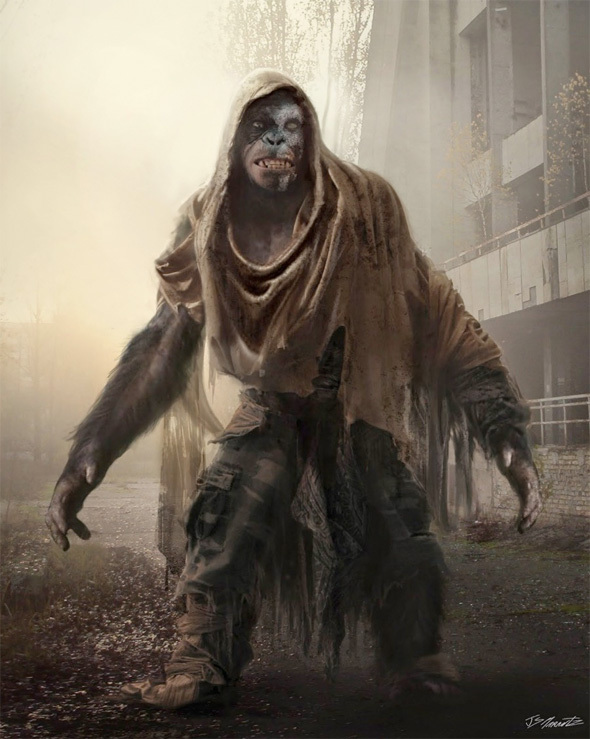 However, putting that latter ape in clothes seems to go against his grudge against humans as he would be behaving much more like the species he hates so much. One element in the pieces that we did see brought to life was the use of war paint. 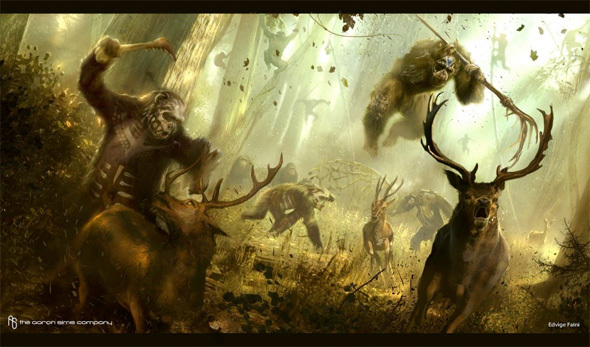 However, it seems to be much more abundant and extreme in some of the concept art pieces. The headdresses for Caesar's wife were clearly scaled back dramatically too, though we do get hints of some of those tribal elements in the film. If you haven't seen the movie yet, what are you waiting for? I think some of that would have worked. I would have enjoyed a heavier handed approach to war paint. The concept art is beautiful. 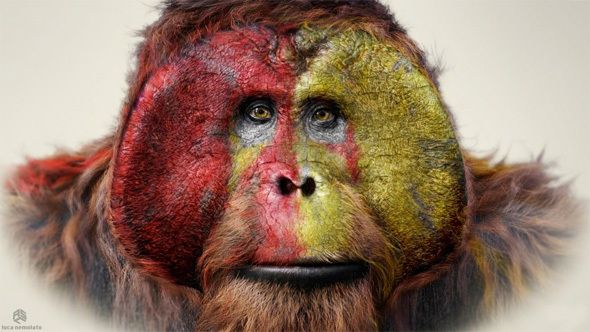 The orangutan face is striking. It would have made it much easier to tell them apart on screen. Love the last one, a bit of a nod to the original.